It hasn't escaped the attention of many that some of the traditions currently associated with Christmas celebrations in the United States actually began during the Civil War. Prior to the war, the North and South were divided on the issue of Christmas. 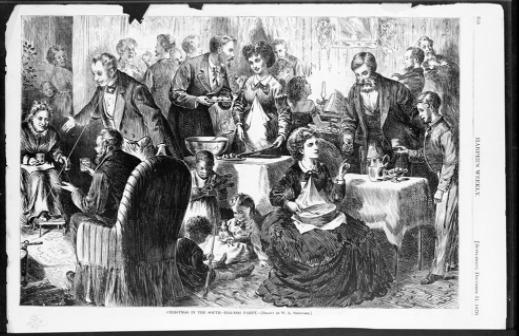 Many Northerners saw sin in the celebration of Christmas; but in the South, Christmas was an important part of the social season. 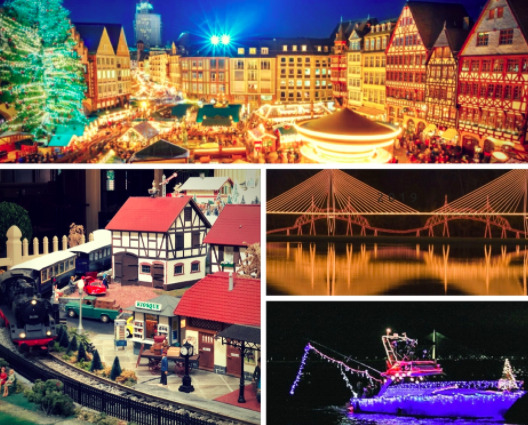 Christmas had been celebrated in Europe with eating, drinking, and dancing. It was the Puritans who attempted to end this indulgent behavior, and did it successfully when they came to America. From 1659 to 1681, the celebration of Christmas was actually outlawed in Boston. Anyone exhibiting the Christmas spirit was fined five shillings. It wasn’t like this everywhere up North, but the Puritan’s influence could not be denied. Even after the ban on Christmas had been repealed, New England Puritans continued to frown upon most forms of celebration or even upon interrupting activity on Christmas day; as late as 1870 public schools in Boston were functioning on Christmas day and pupils who dared to skip class for the sake of the holiday were punished. By contrast, Christmas had been largely observed in the South, owing to the area's Episcopalian traditions and to the high degree to which Southerners had adapted and preserved old English customs. Christmas was the time for fox-hunting and playing, for parties and balls. In the agrarian South, Christmas also had one very important function: it was a much-needed period of leisure after a hard year of work. It allowed workers to rest, neighbors to socialize and planters to settle their financial affairs. It took almost 200 years for our country as a whole to move away from the Northern Puritan view and enjoy the holidays once more. It is not surprising that the first states to make Christmas an official holiday were Southern: Alabama, Louisiana, and Arkansas in the 1830s and more followed soon. However, the insecurities of war felt by citizens and soldiers alike created a need for them to seek solace and security. Northerners found it in part by re-establishing familiar European traditions. The United States Congress did not make Christmas a federal holiday in Washington DC until 1870, and not until 1885 across the nation. Preparation for the festivities began weeks in advance and also served as important social functions. Houses and churches had to be decorated with evergreens and mistletoe. This activity was usually reserved to white Southerners, as an occasion for social bonding. In William Gilmore Simms's publication, Maize in Milk, the lady guests help decorate the Openheart mansion with myrtle, bamboo, cassina and holly, "giving to the spacious walls and rooms a charming aspect of the English Gothic." 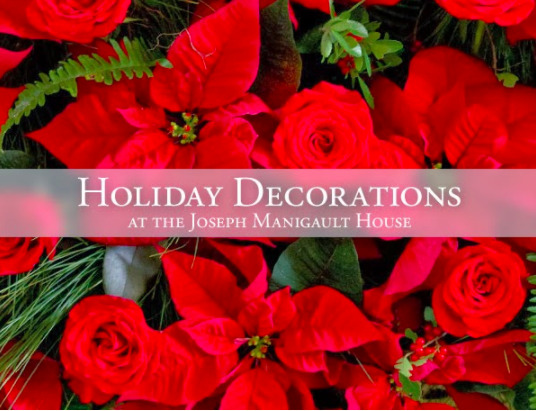 The Garden Club of Charleston will, once again, bring holiday spirit into the Joseph Manigault House, adorning its rooms, hallways, and stairways with greenery, flowers, fruits, feathers, ribbons, and more! These spectacular arrangements will celebrate the first half of the 19th century by highlighting and reminiscing the era as Charleston families would have remembered it. Furthering this theme, the décor will incorporate the essence of traditional celebrations by intertwining Christmas carols and popular books along with decorative objects from the period. For more information, click here. For convivial spirits, the opportunity to see elaborate 18th century table settings is a real treat, and this historic house museum's cache of heirloom silver makes this one gleaming holiday experience. Tour the rest of the property, including the circa 1740 kitchen building and herb garden, to discover how the household prepared for the Christmas season. For more information, click here. Don't know about you, but we've been decking the halls for weeks now. 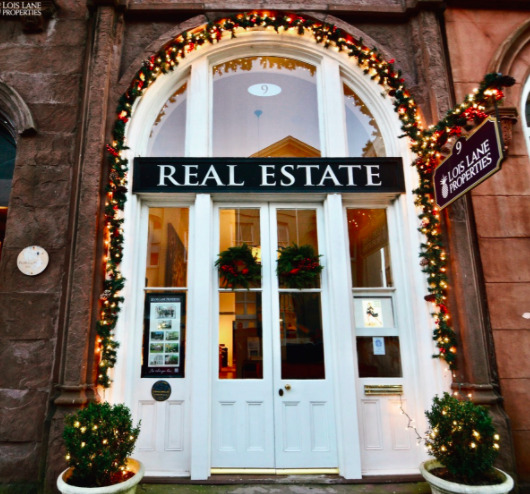 We couldn't wait to put up our white twinkling lights, garland, wreaths and red ribbons at 9 Broad. This is one tradition that never changes. Each one of us at Lois Lane Properties has fond memories of holidays gone by, or the joy of making new memories with family and friends. If there is an exotic destination to be had during Christmas and the New Year, Lois is on the first plane out; whereas, Keelin likes to keep it closer to home with her family, enjoying the Holiday Festival of Lights at James Island County Park and the boat parade on the Cooper. Other traditions center around celebrations and song. Brittney loves to bake cookies with her mom. Ginger is a bit more lyrical, bursting into song whenever she hears Christmas carols. 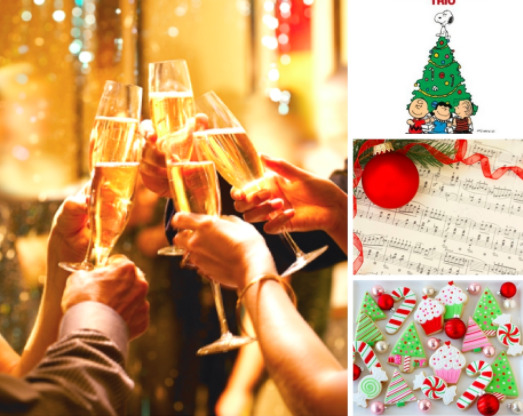 Cathy keeps "A Charlie Brown Christmas" by the Vince Guaraldi Trio on replay throughout December, and Greg and Ellery think a Champagne toast to the season is always in order. 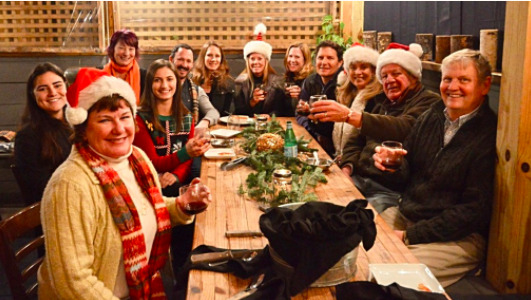 Whether it be reading the Night Before Christmas by a roaring fire (Eleanor's favorite) or Ruthie handing out homemade Kahlua to her friends and neighbors, celebration is never far away. On Christmas morning, our intern Megan opens her gifts while munching on Kringle, a traditional Danish pastry filled with raspberries or almond paste. YUM! But we can bet that (at least in our office) no tradition outshines John's, who tells it like this: "My older brother, two older stepbrothers and I would go into the woods with an axe, a shotgun and a bottle of Southern Comfort. 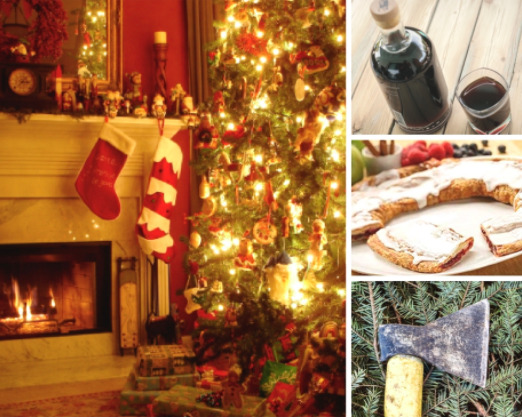 The axe was for chopping down our Christmas tree, the shotgun was for shooting mistletoe out of the top of an oak and the bottle.... for camaraderie." Now that's what we call a spirited tradition!